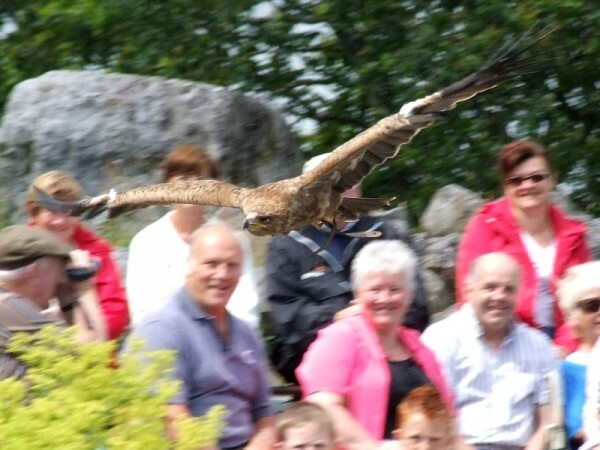 Bird Shows start at 11 a.m. & 3 p.m every day lasting for approximately 60 minutes each. WITH INDOOR DISPLAY AREA! 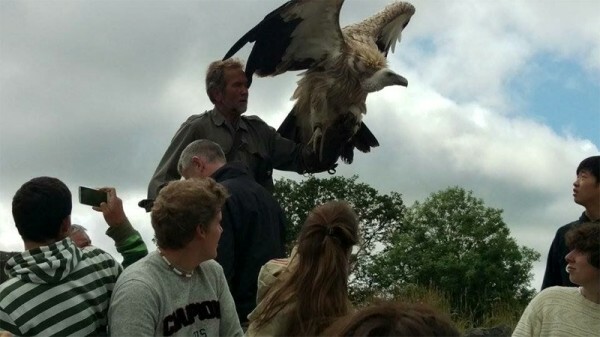 Rain or shine - a visit to Eagles Flying is a great day out! 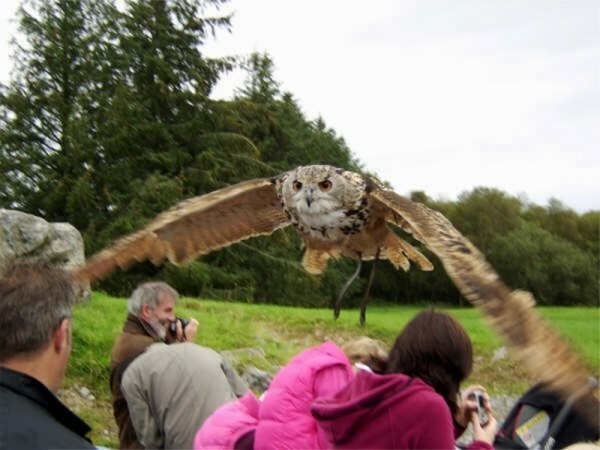 During the highly entertaining and interactive Bird Shows you can experience Eagles, Hawks, Falcons, Vultures and Owls swooping right over your head or landing next to you. Some of them even allow to be touched - but ask one of the birds trainers before! You might even have the chance of a bird landing on your bare hand. 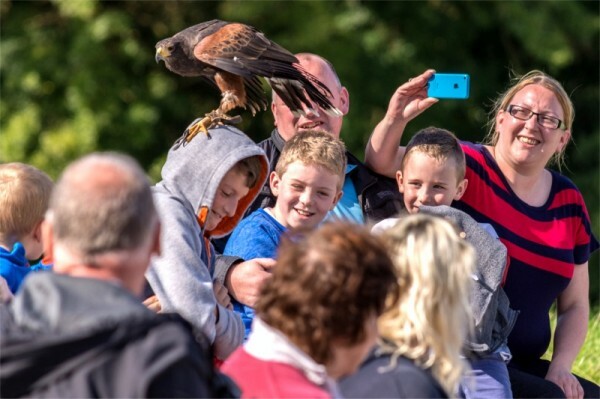 Never before you have been that close to a bird of prey! Different groups of these birds have special ways to fly and hunt. 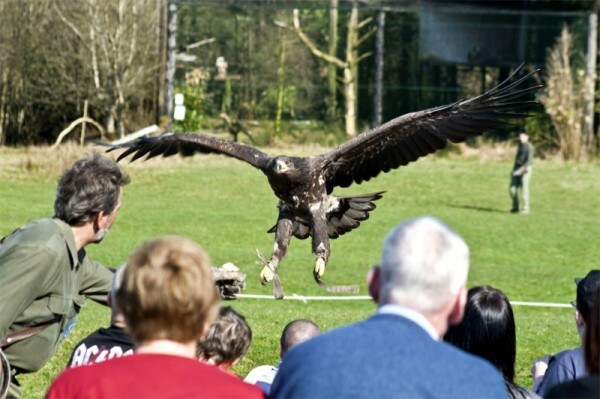 Eagles, Hawks, Falcons, Vultures and Owls will demonstrate their unique skills. During the guided tours and the shows scientists inform you about the biology of these birds and their important role in nature. If ever you had a question about birds of prey - there you go, just ask.